CES 2015 is started and it is one of the places where the most innovative ideas pop up, and Round Concept‘s Third Eye concept has helped CES 2015 start off strong. Essentially an add-on for the Google Glass, the Third Eye intends to allow uses to overlay thermal images directly to you Google Glass screen. While Google Glass isn’t the only intended customer for the Third Eye, it’s certainly a big step in showing how versatile such a device can be in multiple industries. “…the prototype of the Third Eye – a “patent pending” design of the thermal attachment to smart glasses and more. Now any wearable device capable of image processing can extend its vision by adding a live thermal imaging stream into its viewfinder or recording unit. 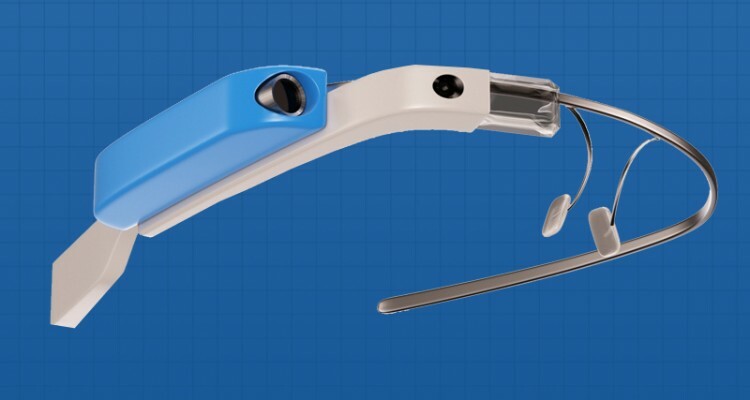 The Third Eye can be attached to the smart glasses or used separately with a multitude of mounting options developed by Round Concept, LLC.” says founder, Ivan Arbouzov. As you can probably already imagine, the Third Eye would be applicable to a whole host of jobs, not limited to law enforcement, the fire service, the military, medical professions, and even customs. It’s potential is pretty much limitless and we’d love to see this really take off and get adopted. What do you think of Round Concept’s Third Eye? Let us know your thoughts in the comments below.